Monday Dose of Market: Hot Radishes, Wet Market. 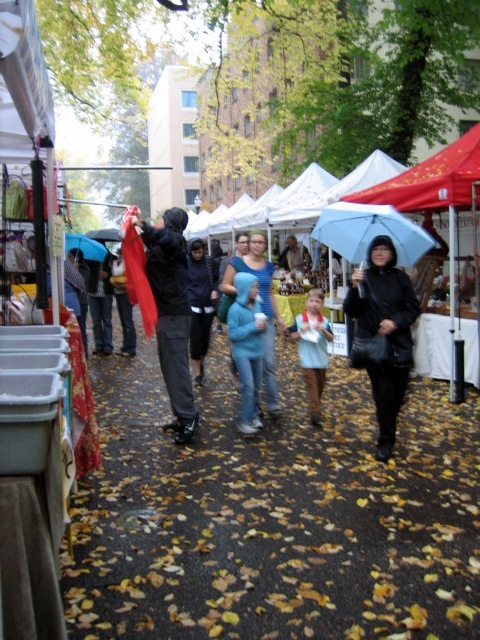 Just as I stepped out of my car to walk over to the Portland Saturday Downtown Farmers’ Market, the thunderclouds unleashed. An uncommon burst of hard rain left heavy puddles threatening to puncture the plastic roofs of the market booths. Vendors scrambled to off-load the water weight without dousing their products or their customers. It’s October, and I no longer leave the house without rain gear. I think the rain may be here to stay. Springwater Farm, the mushroom experts, already make me chuckle with their slogan “We Lurk, So You Don’t Have To.”  And then, while walking by this gentleman struggling to contain his unwieldy tarp, he let out a muted curse.